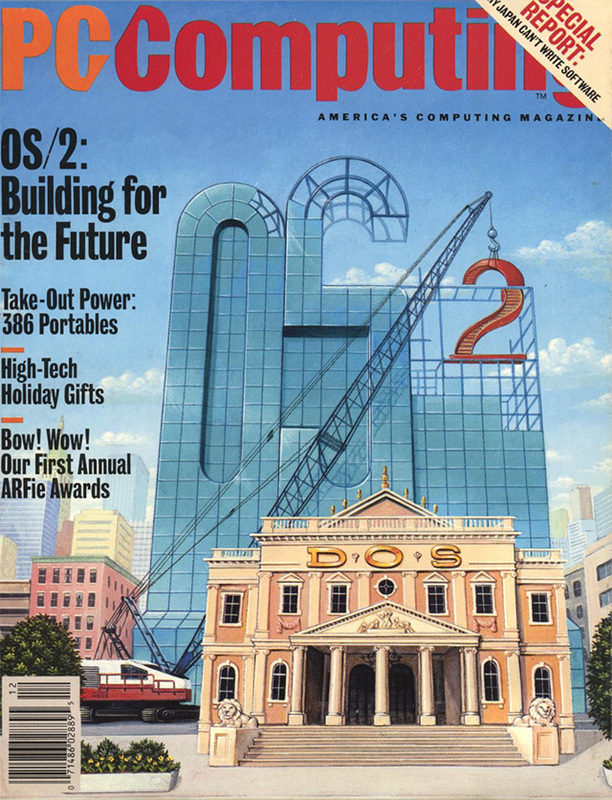 The Internet Archive scans magazines and puts them online. It's amazing what you can find in a collection of vintage magazines. What it was: An Italian magazine about Commodore computers, complete with early-'80s models hanging around with computers. Representative quote: "Ma alla fine la bella principessa (Federica Moro, miss Italia '82) se ne innamora pazzamente e fugge lontano col piccolo computer." Roughly translated: "But eventually the beautiful princess (Federica Moro, Miss Italy '82) falls madly in love and runs away with the little computer." 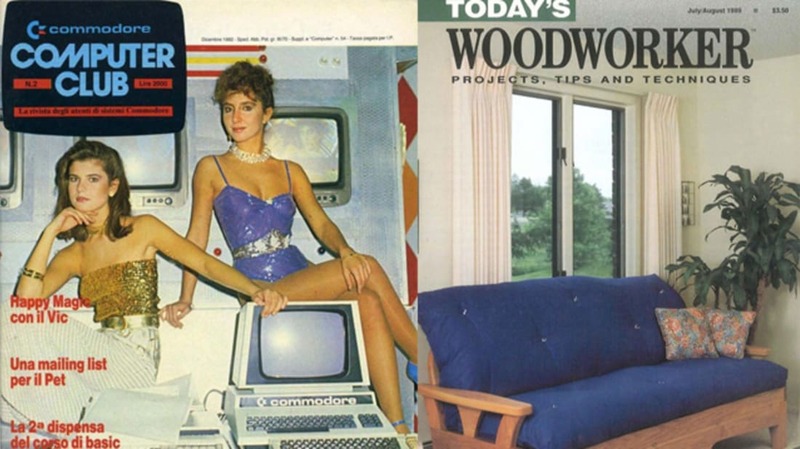 Surprising appearance: Scantily-clad ladies posing with... Commodore computers. 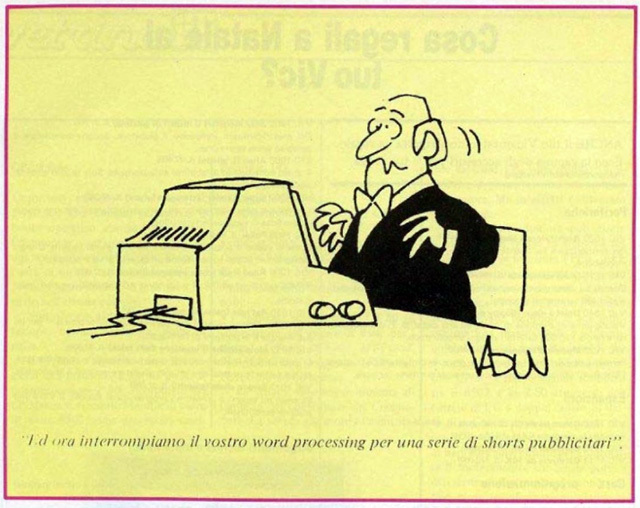 Strangest cartoon: A New Yorker-style cartoon, roughly translated: "We now interrupt your word processing for a series of short advertisements." This was well before the advent of Clippy. 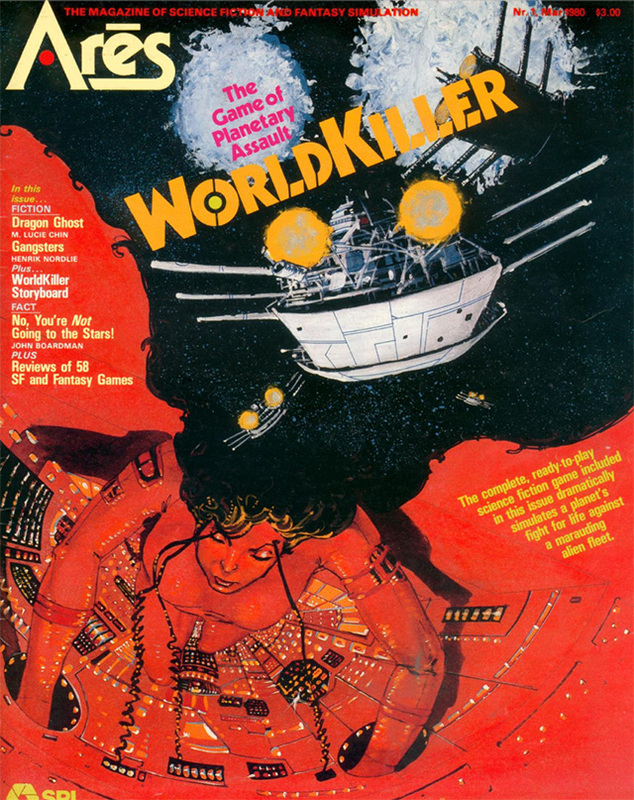 Read this magazine online, courtesy of The Internet Archive. 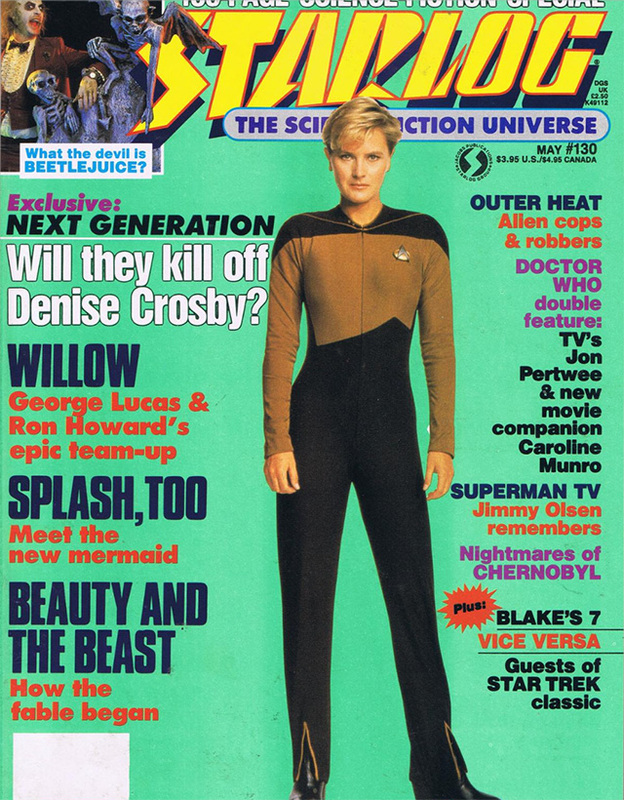 What it was: Starlog was the place to find Star Trek and other sci-fi coverage from the late '70s through 2009. 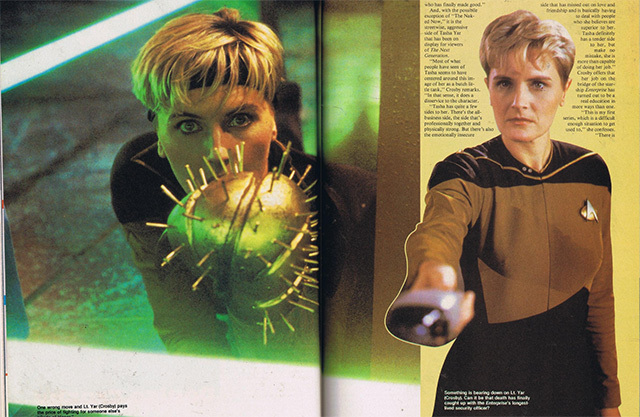 Most easily answered headline: "Will they kill off Denise Crosby?" 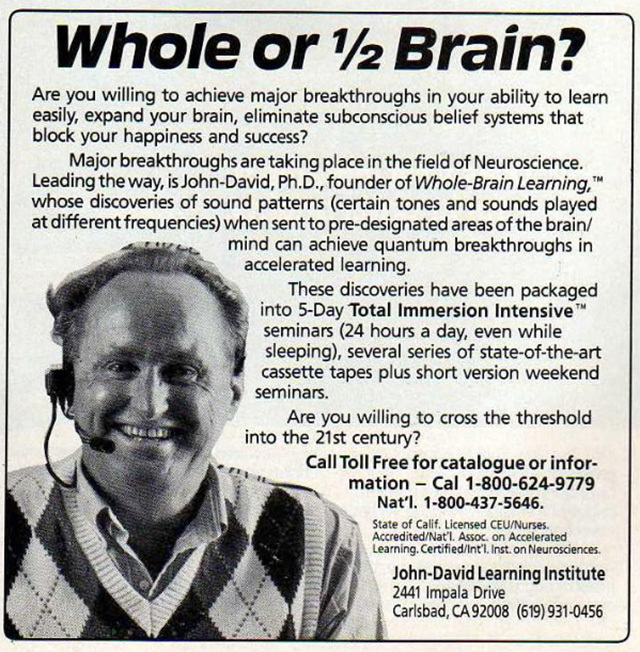 It was May of 1988, a heady time when Betteridge's Law of Headlines didn't always apply. 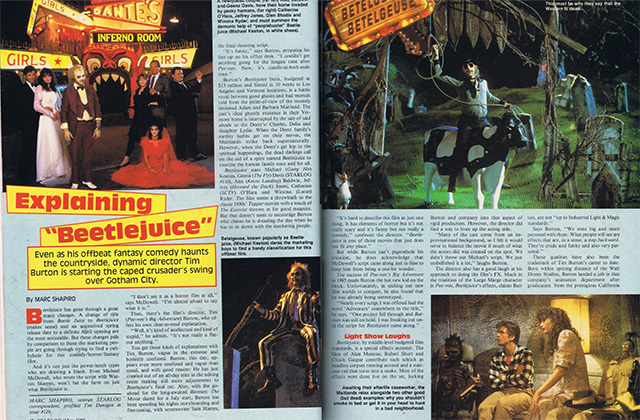 Weirdest article: A six-page feature trying to explain what the heck Beetlejuice would be. Horror film? Comedy? All of the above? 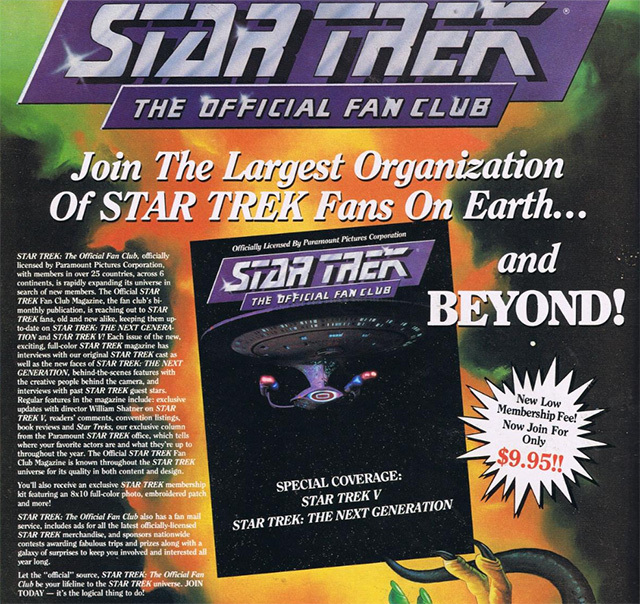 Fan club I sincerely wish I had joined: Star Trek: The Official Fan Club. According to the ad, it came with an embroidered patch! 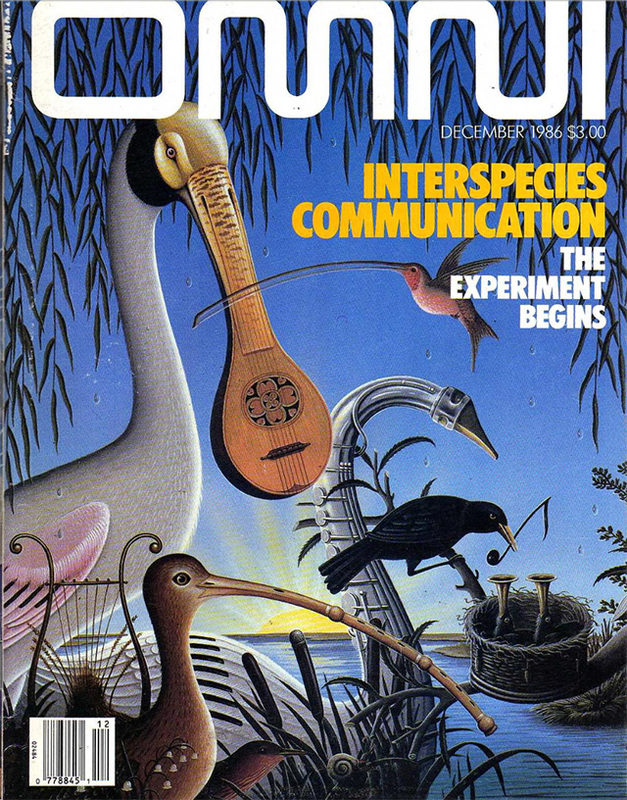 What it was: OMNI was a brilliant magazine, fitting nicely into the category of "best thing you probably never read." It was part science, part speculative fiction, with great art (of all kinds) and big thinkers. Best correction: "CORRECTION: To all our readers who noticed that the Dead Sea Scrolls were printed upside down in 'Will We Become a Lost Civilization?' [Continuum, September 1986]: Yes, we goofed." Surprising appearance: A quiz entitled Can You Talk to the Animals? on page 54. It encouraged the reader to dial a 900 number to hear animal sounds, in order to participate in "the first national experiment in interspecies communication." 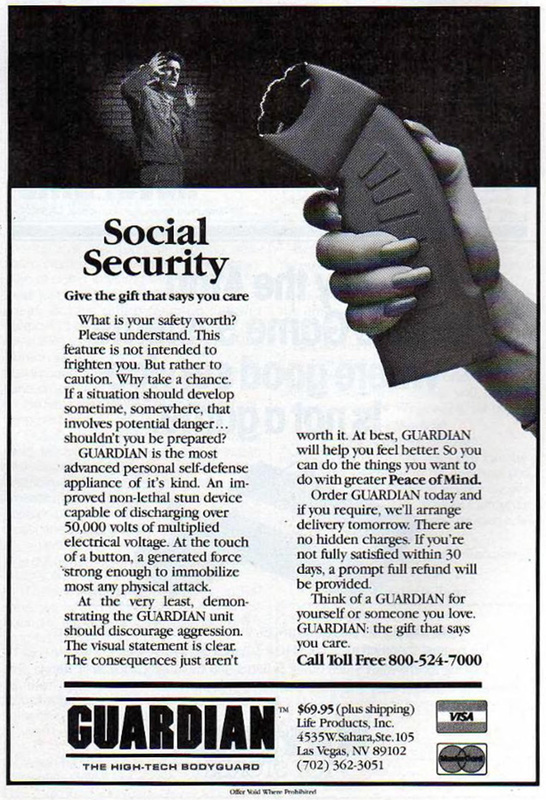 Strangest ad: An ad for a Guardian-brand stun gun, complete with freaked-out assailant, typos ("it's [sic] kind"), and the suggestion that it makes a great gift. 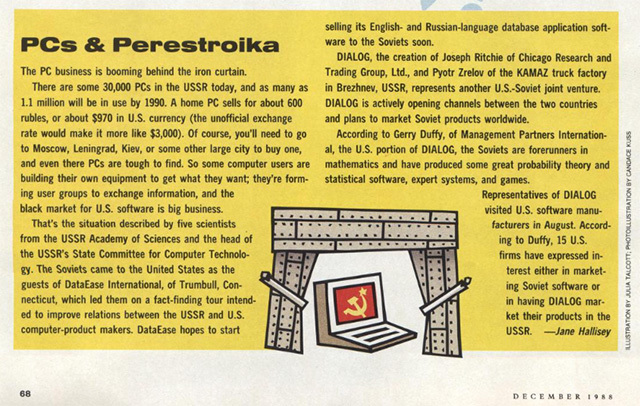 Most 1988 sidebar: "PCs & Perestroika." 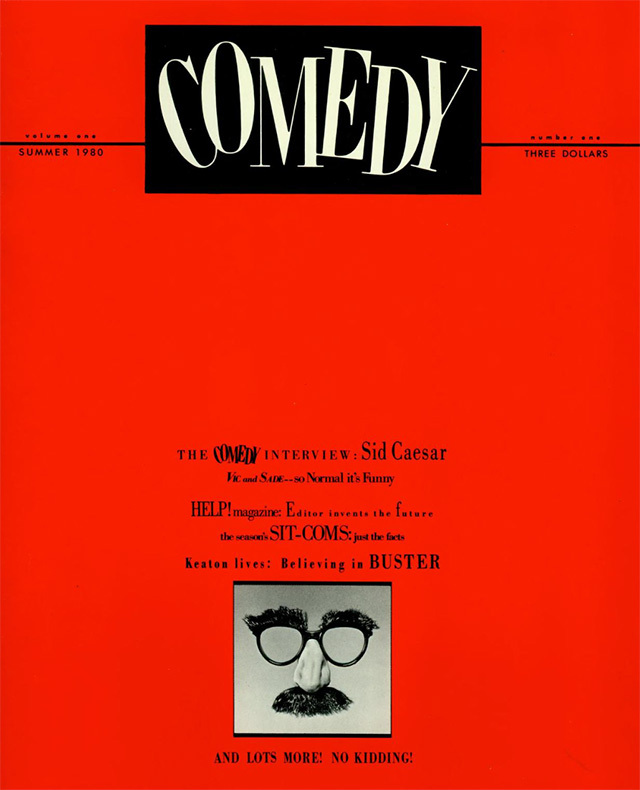 Note that this is the December 1988 issue. A year later, the Berlin Wall fell. 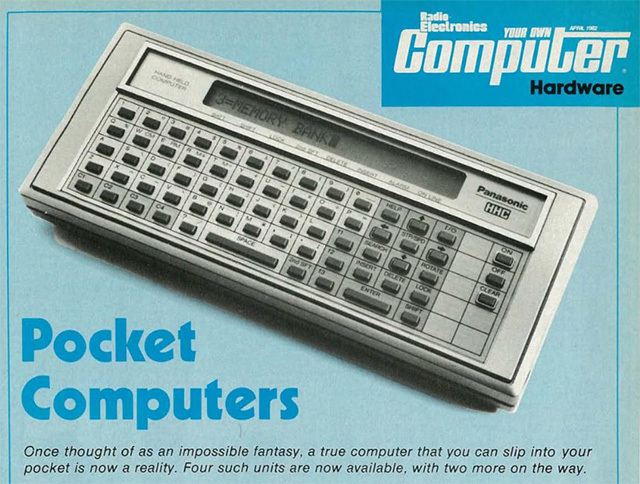 Representative quote: "The fire-breathing power of an 80386 processor in a transportable computer is something to set your spirits aloft, but watch out for the crash: you can forget about light weight, reasonable price, and—for the most part—battery power." From page 93, the beginning of a long review of 386 portables, which also says: "These machines can turn the figures in your account books magenta. Ranging from $6,595 to $7,999 without added-cost options like modems, external floppies drives, and the like..."
Most dated article: Fast Talkers: 2,400-bps Modems, highlighting new modems with price tags from $599-$699. 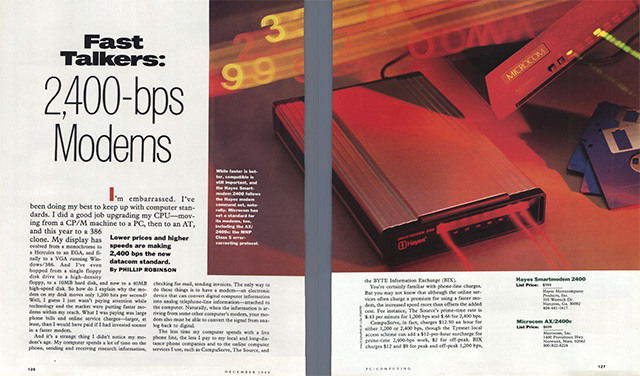 Note that in the 1990s, modem speeds would rise to 56,000-bps (56k) as their cost plummeted. Weirdest pull-quote: "I used to call my staff and have them round up all the data. Now I get it myself—me and my mouse." 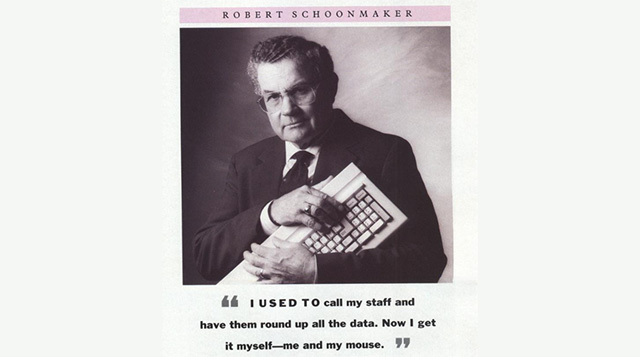 —Robert Schoonmaker, shown clutching a keyboard. Where's his mouse? 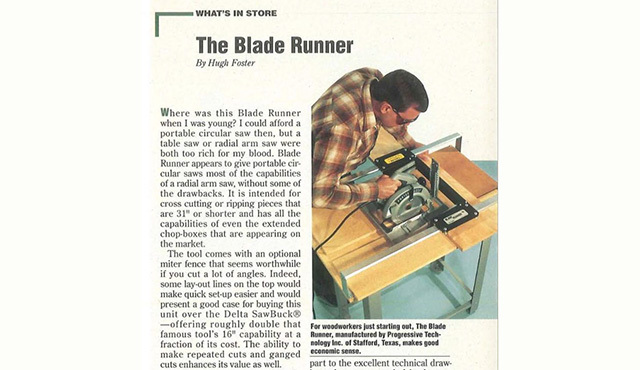 Representative quote: From a section entitled Today's Wood (ahem), "When using properly sharpened cutting tools, you'll discover that ash is rather easy to plane, saw, drill and chisel. However, its tendency to splinter when dull tools are being used is less forgiving than with many species. Ash also offers outstanding staining and finishing qualities." 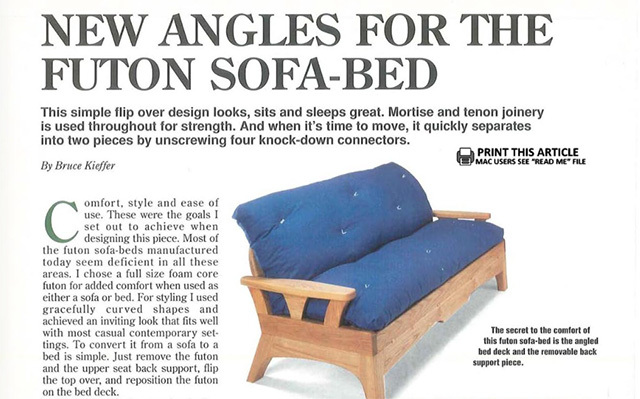 Most progressive article: New Angles for the Futon Sofa-Bed. It's an astonishingly complex walkthrough of how to build your own, uh, futon sofa-bed. 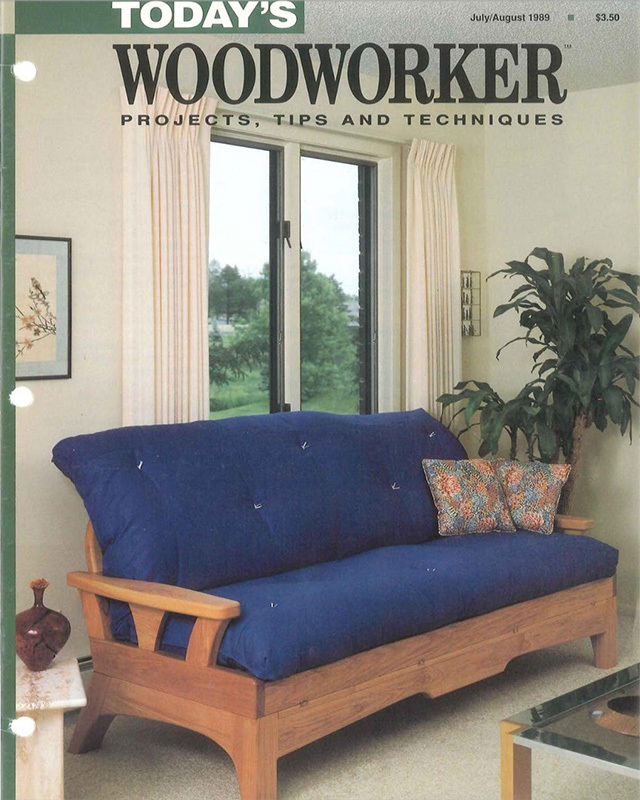 Sample quote: "I use Zar's Wipe on Tung Oil finish." 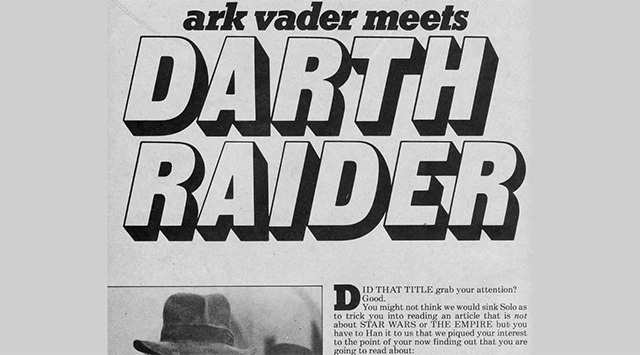 Best/worst pun: An article entitled, What's in Store: The Blade Runner. Sample quote: "It is intended for cross cutting or ripping pieces that are 31" or shorter...." Ahem. No, it's intended for retiring replicants. 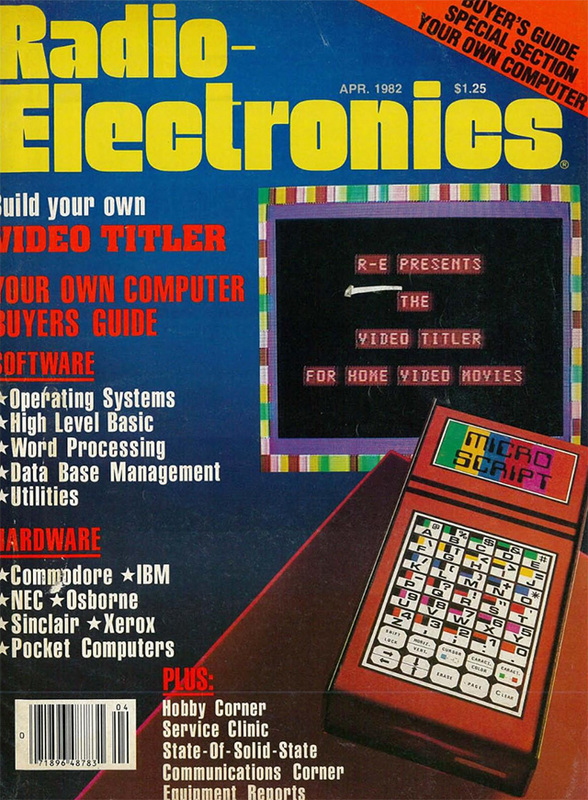 Craziest project: Complete instructions to make your own "video titler," a device to add text and graphics (sort of...) to your home videos. 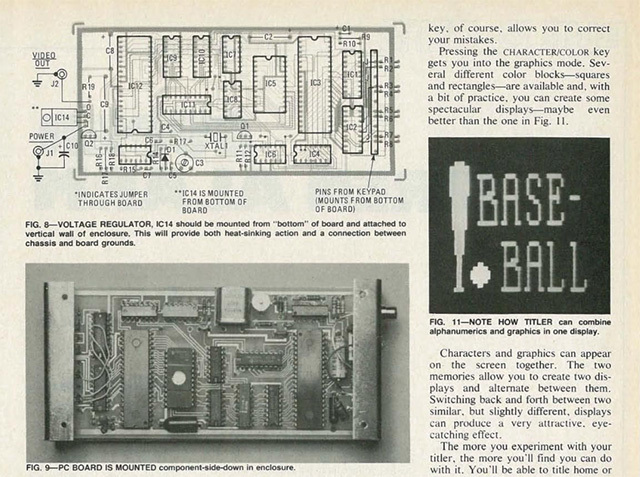 It's many pages of hardware assembly, in order to create the "baseball" graphic shown below, on the right. 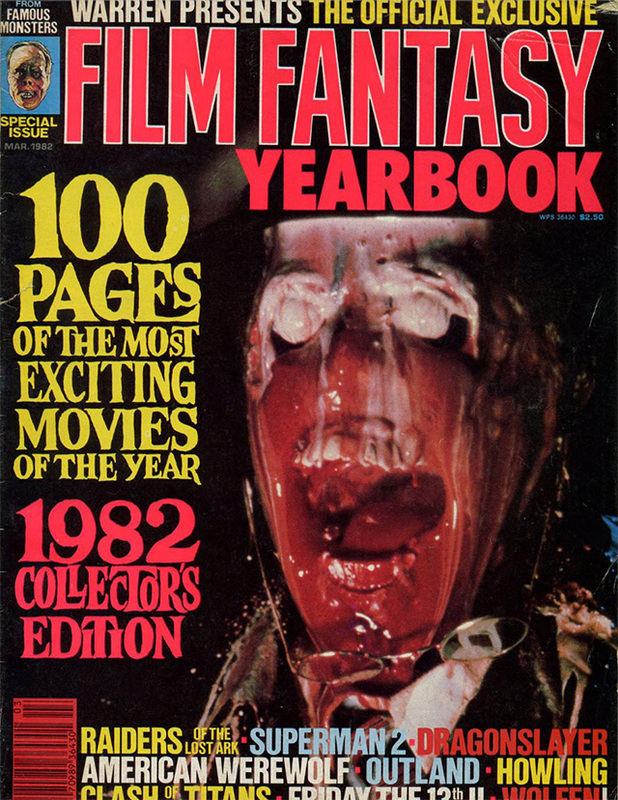 This was pretty amazing in 1982. 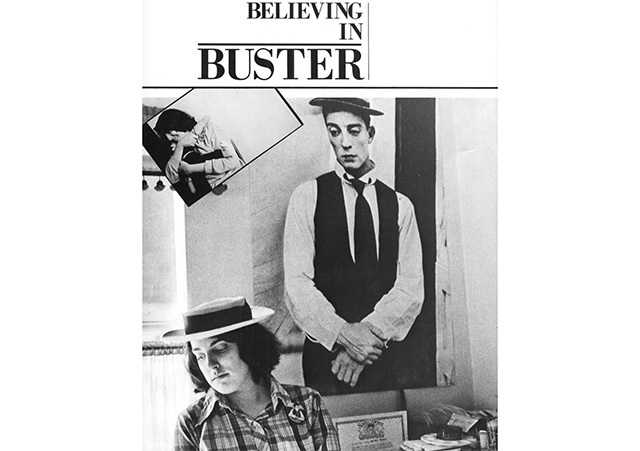 Best article: Believing in Buster, an oddly moving profile of two women obsessed with Buster Keaton. Sample quote: "...A remarkable set of documents emerge—transcriptions of her conversations with Keaton's, uh, spirit, in the worldly form of a Ouija board. They are genuine, she assures me." 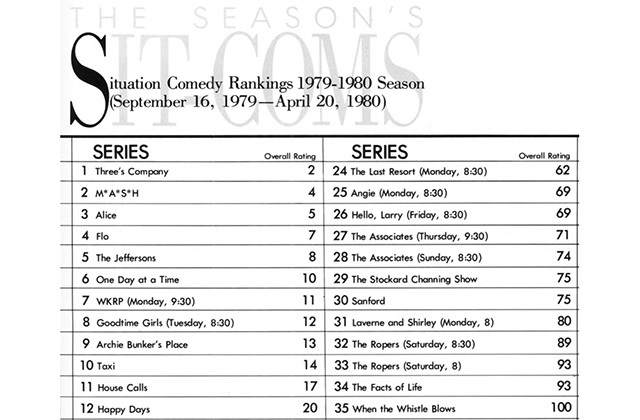 Most inconvenient truth: in the Sit-Com ratings, we learn that Three's Company is beating M*A*S*H.
Most dated ad: Video Shack, Inc. (with various locations in New York) advertises that "Now, the movies come home to you." 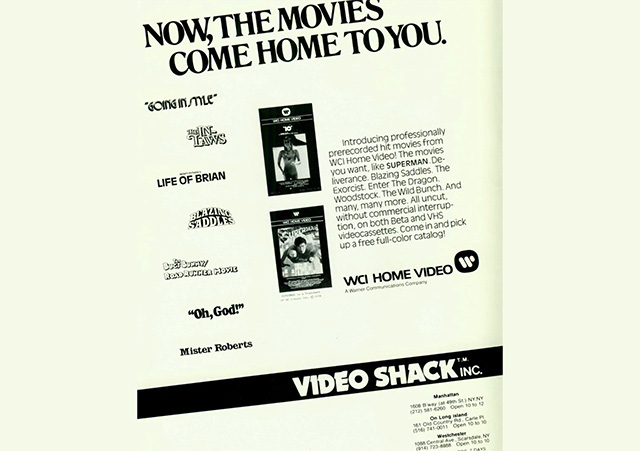 Of course, the selections are available on both Beta and VHS. 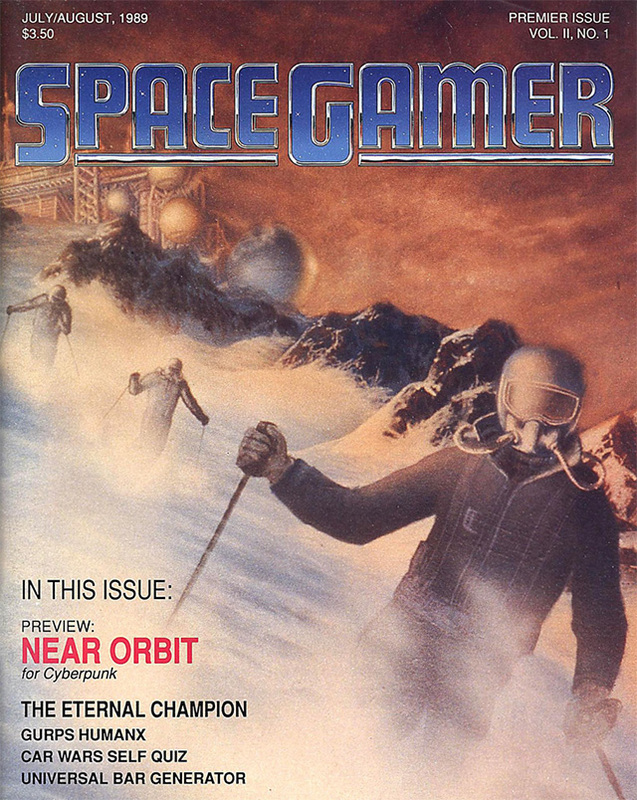 What it was: The Space Gamer was all about sci-fi/fantasy games, with a special emphasis on role-playing games like Dungeons & Dragons and GURPS. 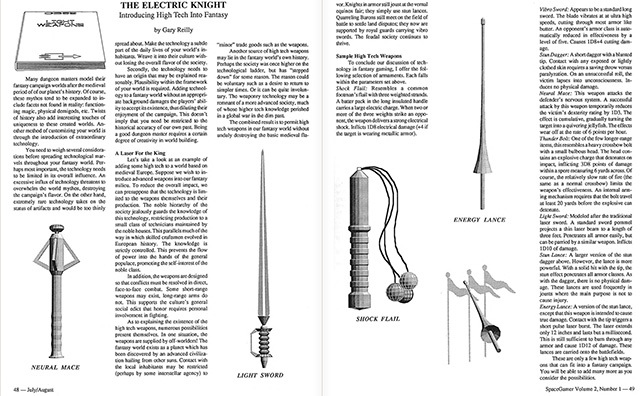 Most boundary-crossing article: The Electric Knight: Introducing High Tech Into Fantasy. It suggested bringing "energy lances" and "light swords" into fantasy role-playing games—which, let's face it, is totally fine. But my 11-year-old self would've hated it. 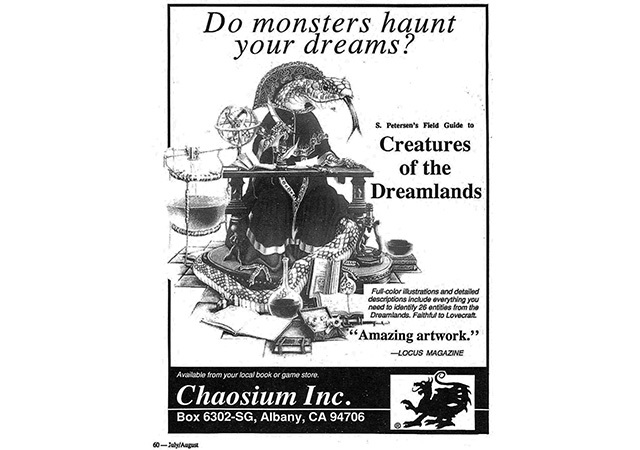 Best ad: "Do monsters haunt your dreams?" Now they will. 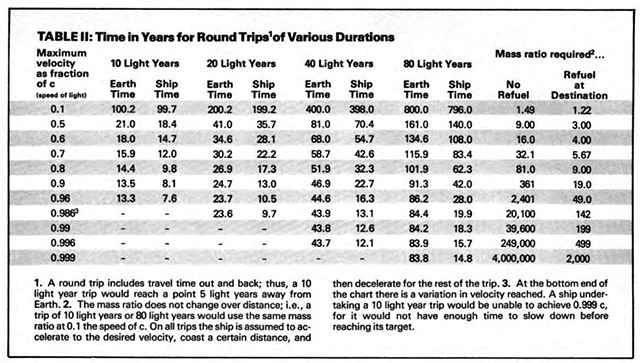 Best informational table: From the article No, You're Not Going to the Stars, this table explains relativistic effects of space travel, among other things. The whole article is great, including the quote: "Where you get the anti-matter is a good question in itself." Indeed. 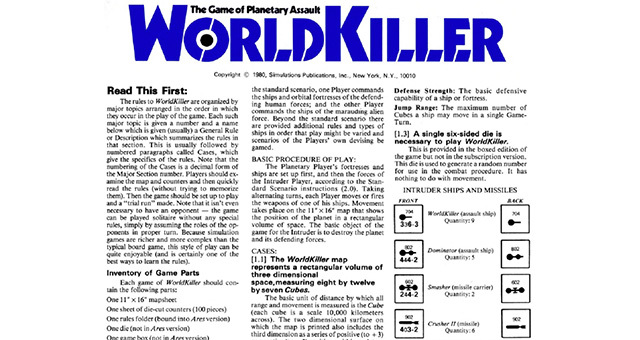 Best game: WorldKiller, a complete role-playing game published right in the magazine. It's impressive, and includes the instructions: "Open the magazine to the center, bend the staples with a penknife or screwdriver, life out the rules and close staples." Boom, you just bought a game for three bucks and got a magazine for free! 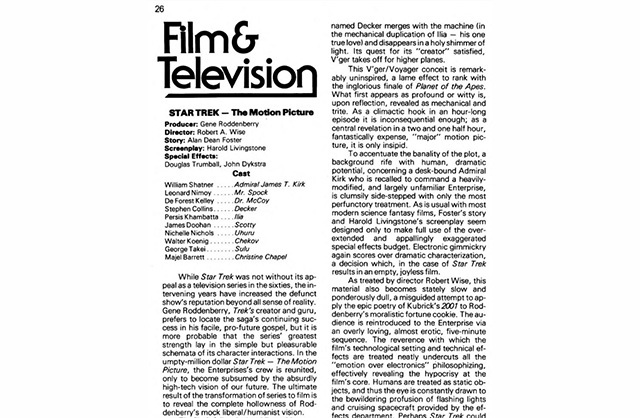 Most negative review: In the Film & Television column, Scott Bukatman rips into Star Trek: The Motion Picture. He just hates it, calling it "Roddenberry's moralistic fortune cookie." Bukatman has a point, but when he calls it an "empty, joyless film" he loses me. 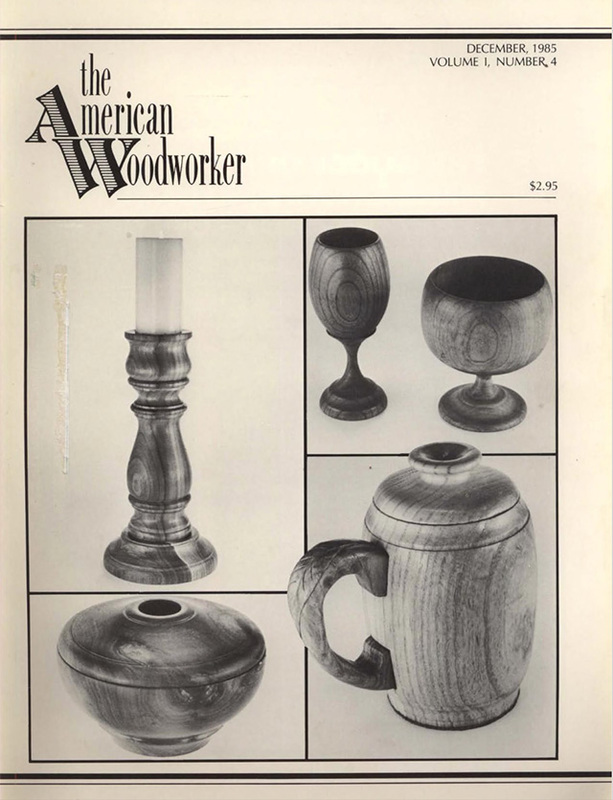 Yeah, I know, another woodworking magazine. They were big in the '80s! And this one is classy. 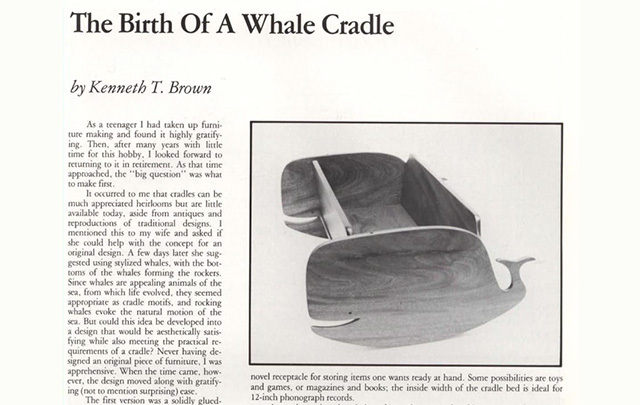 Coolest project: The Birth of a Whale Cradle, an article (plus detailed instructions) on how to build a cradle (or LP holder) with playful whale ends. It's adorable, and it actually seems possible to make. 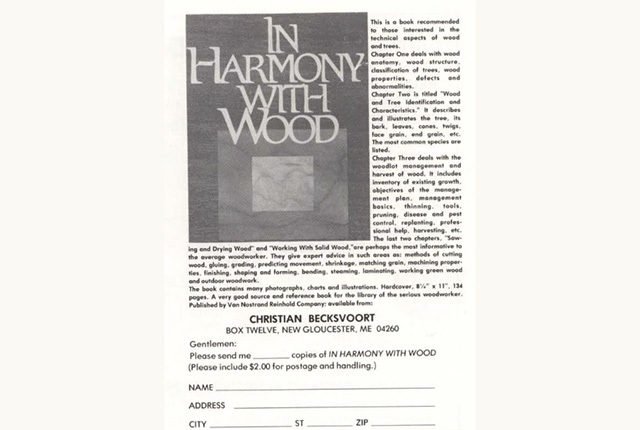 Most awkward ad: Christian Becksvoort selling his book, In Harmony With Wood. The problem is that he left off the price, though he did include the $2 shipping fee. 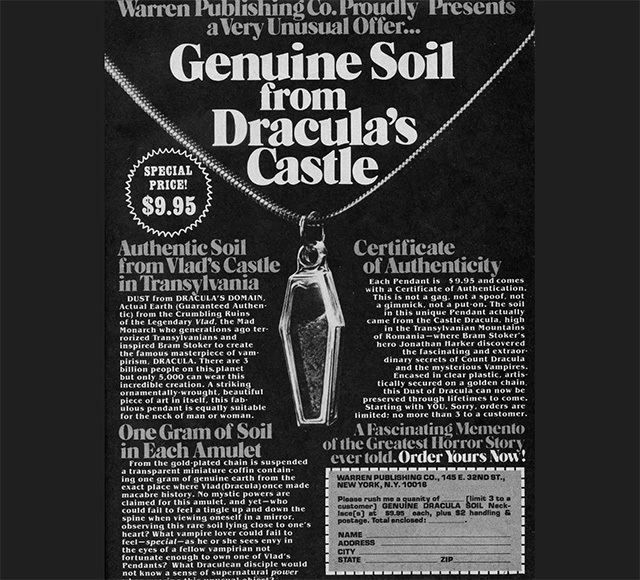 These days you can get it for $7.95 from Amazon. 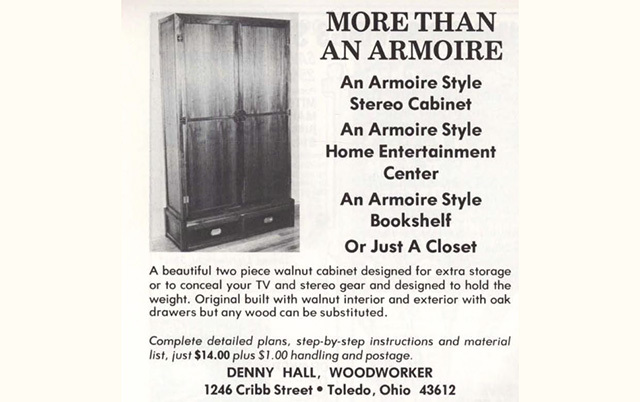 Weirdest armoire ad: Why does an armoire need to be anything more than an armoire? I guess the "or just a closet" bit seems to handle that all right. What it was: I'm just going to put this out there: This is not a good magazine. It's amazing. Famous Monsters is basically a poorly-written summary of all the year's best (and/or goriest) movies, with a lot of awkward ads thrown in. 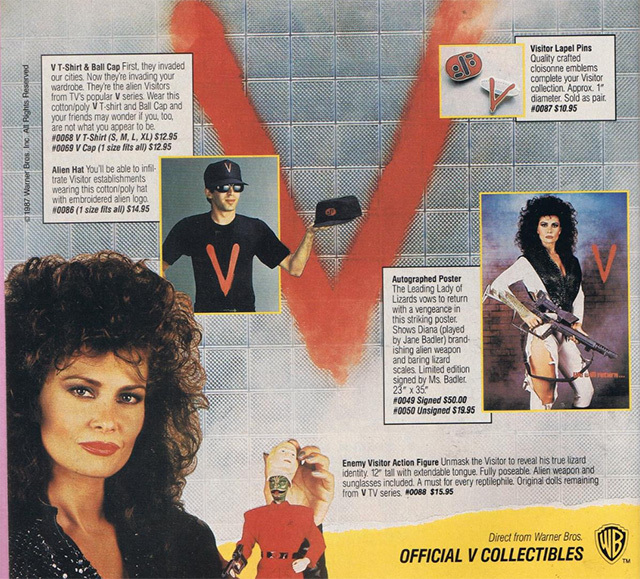 I suppose the idea was that if you had seen the movie but wanted to re-live it (remember, most of us—especially kids—didn't have home video at the time), you'd read this silly thing. 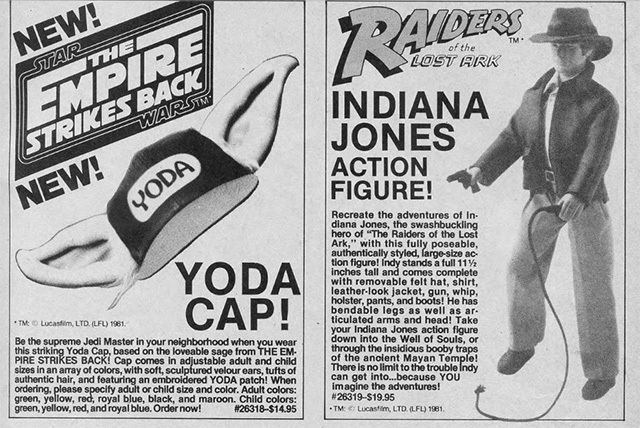 Second worst ad: Yoda Cap & Indiana Jones Action Figure! I was squarely in the target market for both of these products, and I can tell you right now, there was no way 4-year-old me was going to put on a frickin' Yoda Cap, despite the choices of "green, yellow, red, and royal blue" for kids. The Indy action figure? Maybe. Worst pun in a headline: Ouch. 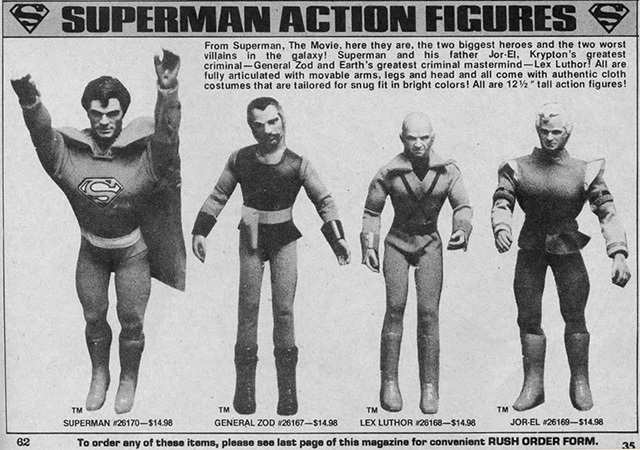 Worst action figures: These guys. Wow. All images courtesy of The Internet Archive.